When I was invited to speak at the China Education and Innovation Expo in China, I really wasn’t sure what to expect. 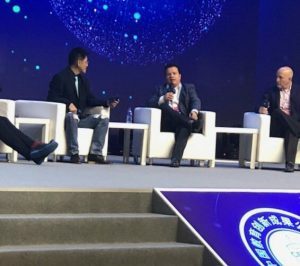 You hear all the rumors and wishful thinking about China being the next frontier, coupled with stories of government control; so what would be real and what would not be were questions I was eager to answer through firsthand experience. After spending a week there just before Thanksgiving, I can safely say that cautious optimism bordering on the excitement of the future is the best way for me to describe the experience. My first city was Guangzhou, which a little over 20 years ago opened its first rail line and now is home to nearly 25 million residents. Its airport, Baiyun International, opened in 2004 and is now the second busiest airport in China – all indicators of the incredible growth taking place. 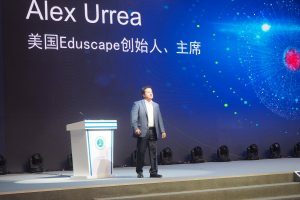 The conference host city was Zhuhai, a burgeoning city on the southern coast just a 10-minute walk under a tunnel to Macau and a 45-minute ferry ride to Hong Kong. The skyline has more structures with construction cranes on top than those without, indicating the massive growth taking place. Despite these cities’ relative size and growth, they were both as clean as the cleanest U.S. city, and the entrepreneurial zeal was clearly evident among the residents whether they were operating a grocery store, a marketing firm, or had just opened a private network of schools. There are 20 million children entering kindergarten each of the next few years in China, many of whom are focused on early learning capabilities including learning English. Put that in perspective; there are only 57 million kids in TOTAL in grades K through 12 in the United States. That massive number presents both a challenge and a great opportunity to learn. Our trip, which included a 15-minute spotlight talk to 10,000+ educators, was very warmly received, and the response for our company and what we are trying to do was really overwhelming. We were one of just 20 spotlight talks, pared down from 400+ breakout sessions, and was judged to be one of the best discussions throughout the conference. The topic was Integrating the 5th C into STEAM; that 5th C in China is Cultural Competency, which simply defined is the ability to interact effectively with people of different cultures. 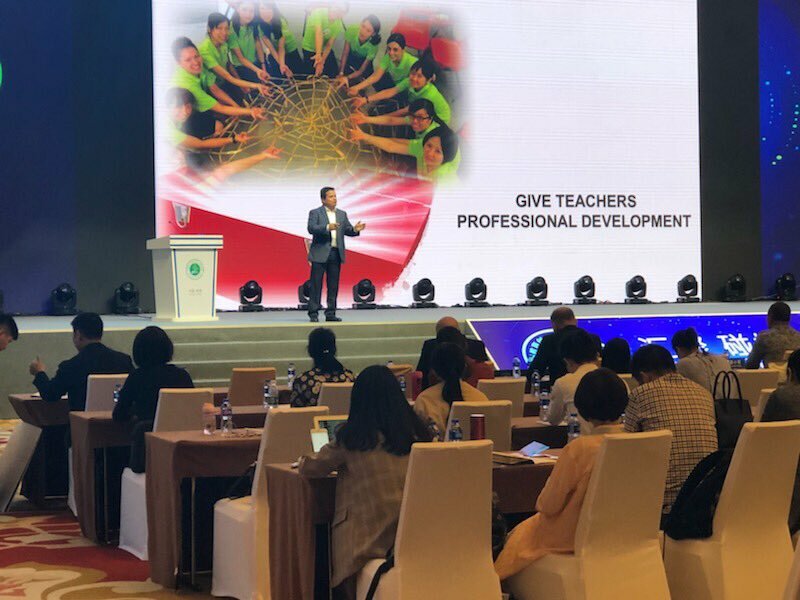 The value of making sure all we do, not just abroad but here at home, in making sure we fit our programs within the culture of the audience, takes on even greater meaning when you are in a country like China. Being culturally relevant as much as being business savvy, be it in education, finance, or technology, is a real key to success. Sometimes I think we lose that focus here in the U.S., which is so ironic given that we are the most culturally diverse country on the planet and our students have every opportunity to become global leaders in cultural competency. The opportunity to grow education in an emerging and motivated country like China is immense, but the pitfalls and pratfalls are many if there isn’t a clear understanding of the culture, systems and business practices. You need to have the right partners to succeed, both locally and globally. No one can just walk into the system and force their will. Education products especially require a clear plan for localization to language and standards. The focus needs to be on the execution of plans to impact millions, not just on talk. Having the ability to make that change on the ground, at the grassroots, will create a legacy business. STEM is more than a focus in education in China at this time; it’s an obsession. In February 2017, the Ministry of Education announced it was officially adding STEM education to the primary school curriculum and then followed it this year with record levels of funding. What we are doing well with our teachers and partners here in the United States, especially with ISTE, Common Sense Media and many school partners, translates well across cultures and continents. We must however, remain diligent in our effort to educate and inform school leaders on best practices, on the Why’s and What for’s about STEM education and keep advocating for innovative practices in teacher professional development that model why STEM is NOT a fad, NOT a lab, and NOT something limited to a handful of innovators in a school building. Countries like China are starting to get it right, and if we let commercial enterprises with the fanciest catalogs and marketing drive STEM, instead of educators with pedagogically-driven strategies, we are going to fall even further behind. Alex, I would love to sit and chat (and brainstorm) with you about improving the results we are seeing in too much of urban and in all America. The children are our future! !